Invoices are usually used in different transactions, providing a list of goods or services rendered along with the total amount of payment, which is somewhat similar to a bill. 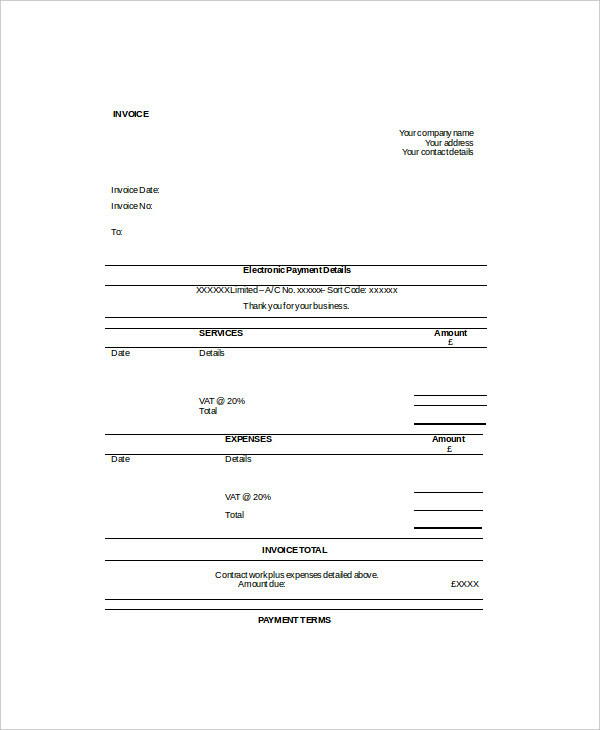 A sales invoice, for example, serves as a record of a sales transaction between a seller and a buyer. Like other business, there are also invoices intended for the self employed. A self-employed person is someone who runs his own business by himself. Simply put, a self-employed person has himself as his own boss. Self-employed people usually earn their income through conducting business invoice operations with other businesses or companies. What Is a Self-Employed Invoice? A self-employed invoice, in the simplest sense, is an invoice intended for self-employed people. A self-employed invoice, like any other kinds of invoice (a billing invoice, for instance), typically lists the transaction details including names of the goods and services provided, along with their descriptions, total amount being charged to the client along with its breakdown, any applicable sales tax and/or discounts, and due date of payment. Invoices are important records of transactions. 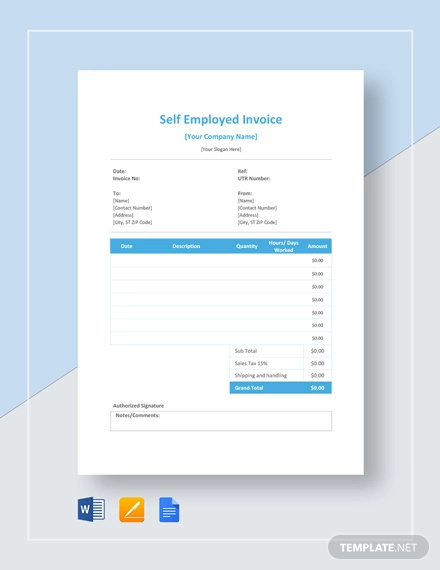 A self-employed invoice form, like other invoices, serves as a record of a self-employed person’s transactions with his/her clients and other businesses. Because he owns his company and he is his own boss, a self-employed individual needs to have a detailed record of every transaction he does. This will serve to prove that his business has an organized billing system. This will also ensure that he has a complete control of his own business. With this, he can make sure that his future transactions will go smoothly. 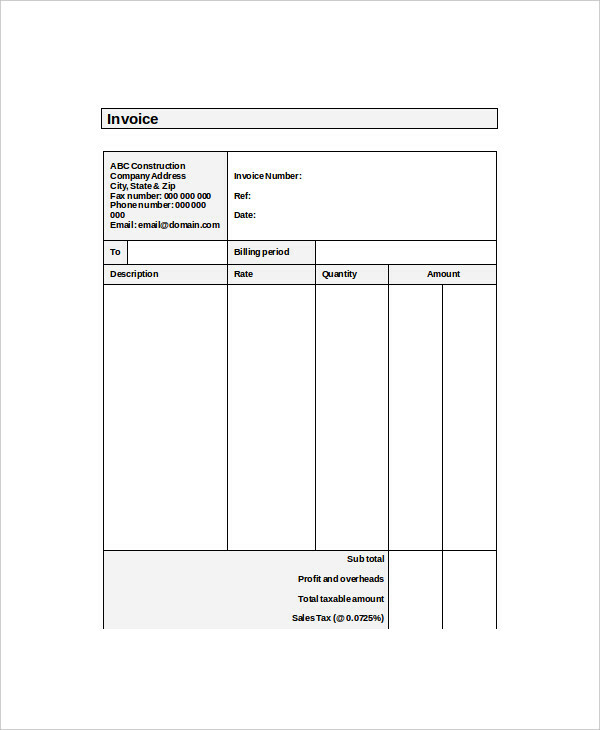 In this article, there are some free invoice examples to guide you if you are planning on making one. Know the invoice you are going to create. This is to indicate what type of invoice you are sending your client (usually found in the header part). Choose a template or create your own. You can pick a self-employed invoice example from a list of different templates, or you can create your own. If you want to create your own, there are many simple tools you can use (e.g. power point or word documents). Encode all the necessary information. This means invoice information that are already known (i.e. header, reference number, etc.) 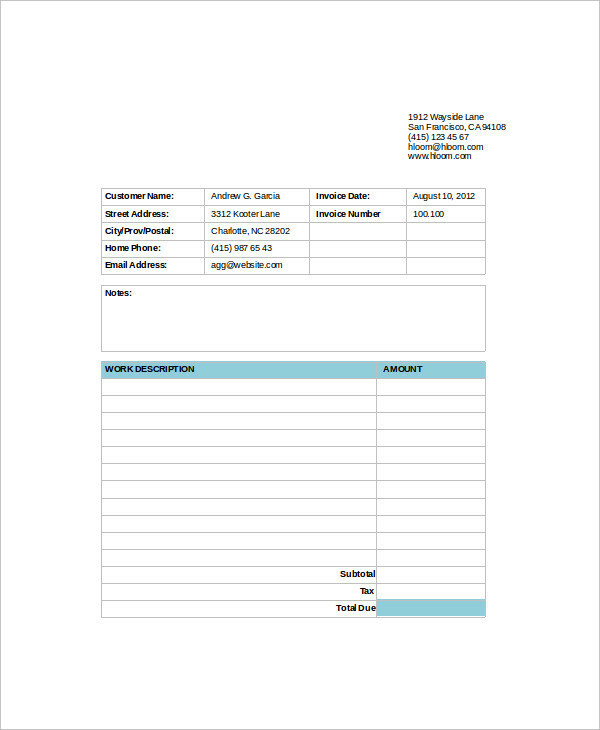 You may leave a space or blank invoice indicated for other details that are yet to be determined, such as dates and client information, and write it by ink upon conducting the transaction. 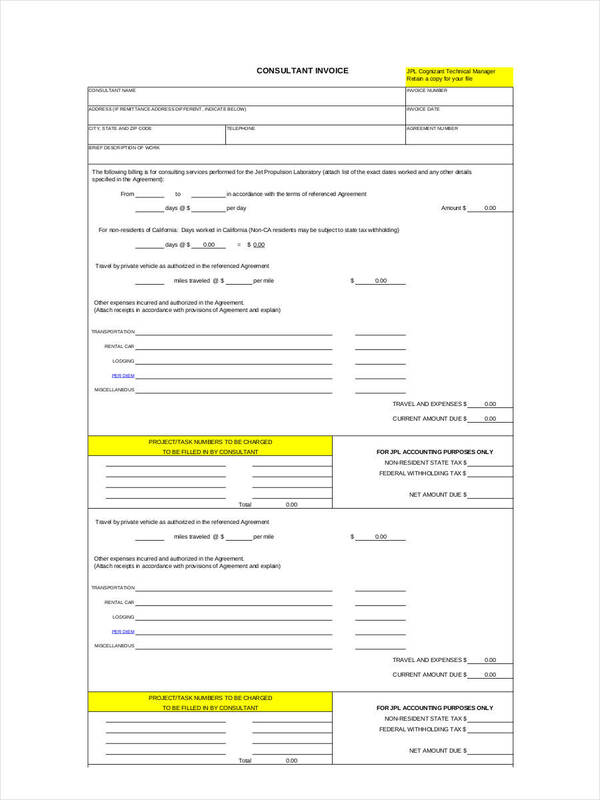 Sign and have it signed. 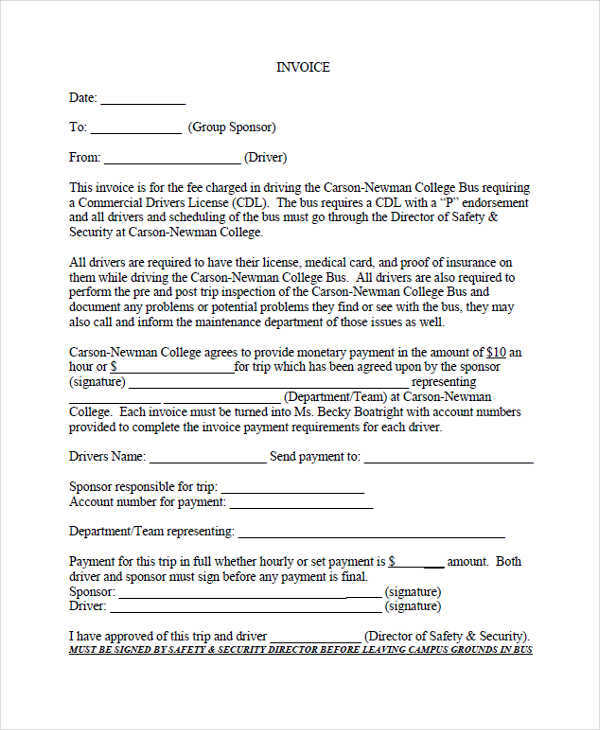 You have to sign your invoice and of course, have your client sign it. Validate your invoice. This is to ensure that you and your client are in agreement of all the details stated in the invoice.